StoreSecure is our cloud based back up system that automatically backs up any data via an Internet connection to our 2 UK datacentres. Data is encrypted during back up and is also encrypted when stored on our servers. Therefore only you as the customer can access the encrypted data. The software can be installed and configured in minutes to provide a fully automated back up solution for all your files & folders, emails and any other data you may have. The server version can be configured to back up any operating system (including virtual), email system (down to individual email level), database or ‘bare metal’ level (a complete image of your server). Cloud based backups are not suitable and indeed not an option for all businesses (having a slow broadband connection for example). Whether at single or multiple sites, a number of on-premise backup solutions are available including tape drives, NAS (Network Attached Storage), HDD’s (Hard Disc Drive) and hybrid solutions; backing up on-premise/cloud. These options are available for businesses of all sizes and need not be expensive or complicated to manage. 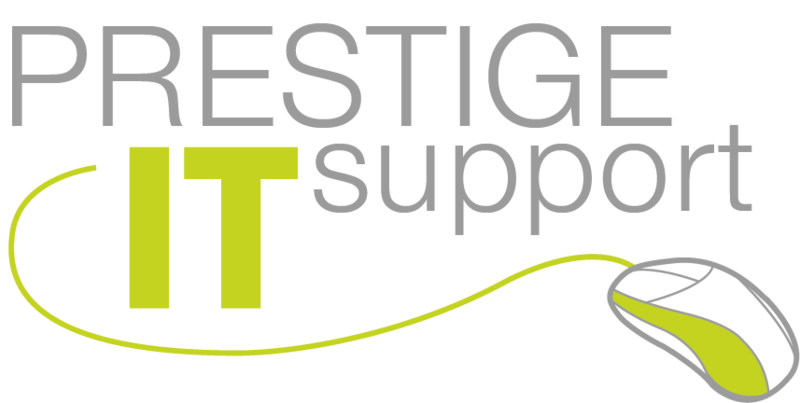 Prestige IT Support will look at your requirements and offer options that will best suit your business needs. Prestige IT Support offer a variety of solutions to enable you to continue working and run your business should disaster strike. From basic things such as redundant hot swap hard discs and power supplies in your servers to remote and home working solutions should your business premise become innaccessible. Should new hardware (PC’s, laptops etc.) be required immediately (for instance to replace stolen items) we have loan equipment available free of charge. Using a combination of on-premise and cloud based systems we can ensure that downtime and thus lost revenue is kept to a minimum.